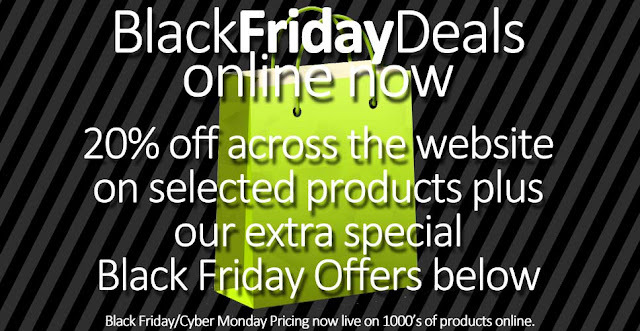 20% off thousands of lines on our website plus extra special Black Friday offers at https://www.goytmill.com/black-friday.irs. Our extra special Black Friday offers are available BOTH instore and online and all items are sold on a first come, first served basis, unfortunately stock cannot be held and only applies to items in-stock. Items out of stock cannot be ordered at the discounted prices. 20% off offer ends Monday 26th November 2018 at 23:59. Other offers end when stock is cleared unless otherwise stated.